Ewing Automotive Group is a family owned and operated dealership dedicated to serving our customers. We consider our employees part of the family and we are always looking for qualified and highly motivated individuals to join us. If you are interested in becoming a part of the Ewing Automotive Group, please take a look at our current job opportunities by clicking here, and follow the instructions to apply. Ewing Automotive Group – A Great Place to Work! When it comes to automobiles, the Ewing family is one of the most respected and established names in DFW. The Ewing Automotive Group owns Mercedes-Benz of Plano, Ewing Buick GMC in Plano and Chrysler Jeep Dodge Ram Fiat in Arlington. Our history began in 1940 when Bruton Orand moved from Waco to Dallas. He opened Orand Buick on Cedar Springs, where The Crescent Hotel now stands. The dealership survived World War II despite gas and tires rationing. It was through his core principles of serving the customer and maintaining a high level of integrity that we survived. When Bruton Orand died in 1961, his son-in-law, Finley Ewing Jr., took over the business. 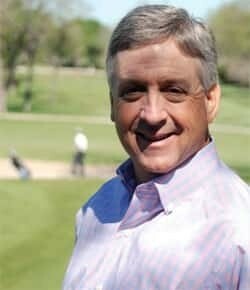 Under Mr. Ewing’s leadership plans for the future growth took shape. In 1972, he was awarded one of the first Mercedes-Benz Dealerships in North Texas, Ewing Autohaus (Mercedes-Benz of Plano). Orand Buick was changed to Ewing Buick GMC a year later. The tradition continues; in 2014 Fin brought his son, Finley Ewing IV to learn the business and continue the legacy. Finley has worked in every department at Mercedes- Benz of Plano and Ewing Buick GMC. October 2015 the Ewing Family celebrated the opening of two brand new facilities on Dallas Parkway & Spring Creek in Plano, Texas. The Mercedes-Benz of Plano dealership expanded to a state-of-the-art 155,000sq.ft. facility. Located adjacent is the all new Ewing Buick GMC, which boasts a 119,000sq.ft. facility including an all new body shop. In December of 2016, The Ewing Automotive Group added Ewing Chrysler Jeep Dodge Ram Fiat in Arlington, Texas to its portfolio. (PLANO, Texas) – Ewing Automotive Group celebrated new facilities for its Mercedes-Benz of Plano and Ewing Buick GMC dealerships with a ceremonial groundbreaking on Friday, May 30 at 9:30 a.m. Ewing Automotive Group President Fin Ewing, III was joined by City of Plano Mayor Pro Tem Lissa Smith, along with representatives from Mercedes-Benz and Buick GMC, local dignitaries and community leaders to commemorate the new dealerships, which are slated to open in July 2015. Currently located on Plano Parkway on fifteen acres, the move to thirty-one acres on the west side of Dallas Parkway, south of West Spring Creek Parkway, will expand Mercedes-Benz of Plano to 155,000 square feet with 1,200 parking spaces, a customer lounge and work areas, café and seating, children’s play area, full service coffee bar and a high capacity service area with 100 bays. 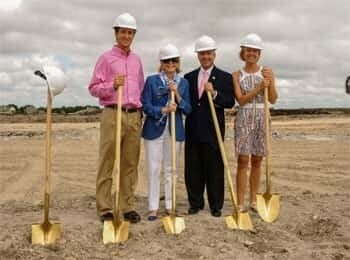 Ewing Buick GMC, located adjacent to the new Mercedes-Benz facility, will boast 119,000 square feet with a state-of-the-art body shop featuring 47 in-ground lift stalls, a customer lounge and work areas, full service coffee bar and children’s play area. 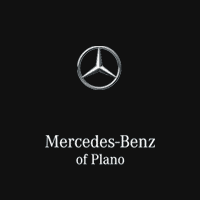 Mercedes-Benz of Plano will be located at 6455 N Dallas Parkway and Ewing Buick GMC will be located at 6425 Dallas Parkway. Our Vision is to lead the nation’s automotive industry in customer satisfaction, sales effectiveness, and employee engagement. Our Mission is to be the industry leader in customer satisfaction by offering an exceptional experience at every stage of interaction with our company. To continually improve our service through training, technology and teamwork. To create a professional and positive work environment where excellence is recognized and rewarded, inspiring our employees to give 100% on a daily basis. Our Core Values – A.C.T.I.O.N. ATTITUDE – We maintain a courteous, enthusiastic, friendly, positive, professional and teachable mindset at all times. CUSTOMER FOCUSED – Everything we do is aimed at meeting and exceeding the expectations of our customers. TEAMWORK – We pull together with mutual cooperation, respect and support toward our common goals; we put the good of the team before the good of an individual or group of individuals. INTEGRITY – We always do what is ethical and honest as we strive to be dependable, fair, reliable and trustworthy with our customers and each other. ONE HUNDRED PERCENT – We consistently give a maximum effort every day at the workplace; we go the extra mile to achieve personal and team success. NOTHING BUT THE BEST – We will not be satisfied, neither individually nor as a team, until we provide the absolute best service and experience possible for each and every customer.